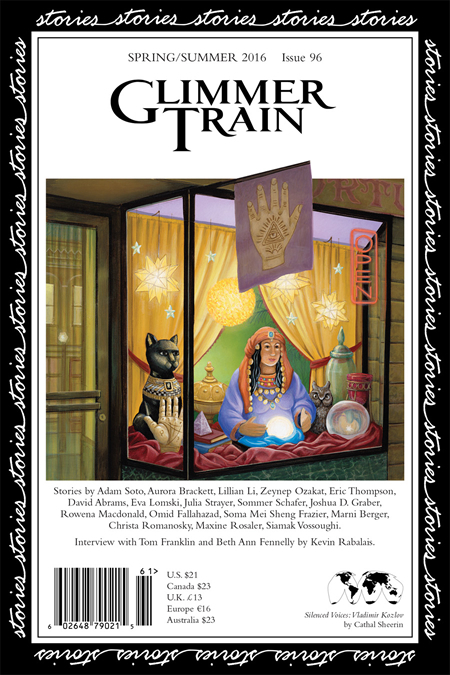 It pretty much knocked me on my azz to receive my contributor’s copy of Glimmer Train 96. If I were a pincher, I’d be pinching myself black and blue. Winning this iconic journal’s Family Matters competition a few years back was a dream, and drew queries from agents at William Morris Endeavor, Folio and elsewhere. To see a second story published in GT – esp. while another piece is forthcoming in ZYZZYVA – is beyond a dream.‪ Humbled. Grateful.